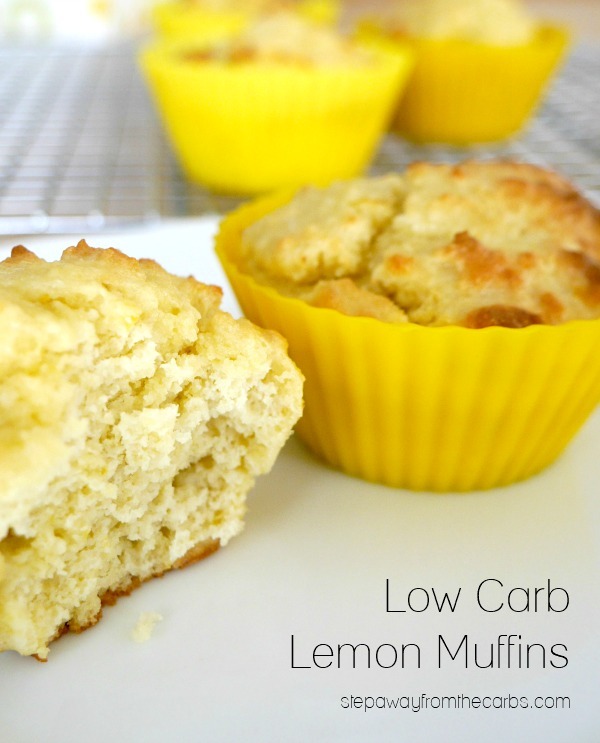 These low carb lemon muffins are a zesty treat for any time of day! Watch the video tutorial! I have to confess that I’m not a huge fan of cakes and muffins. 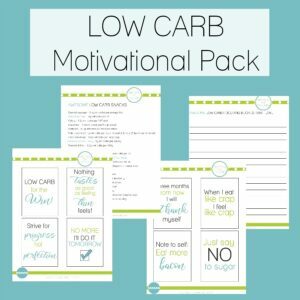 There are many other carb laden treats that would tempt me to the dark side first! 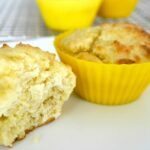 But every now and then I feel in the mood for baking, and these lemon muffins were the result! Whisk together egg yolk, heavy cream, low carb sweetener, lemon zest and baking powder. I *love* my Microplane zester! Stir in some almond flour and lemon juice. Add the egg whites to a stand mixer and whisk until soft peaks form. Add a spoonful of the whites to the almond mixture, and stir well. Then add the remaining egg whites and carefully fold them into the mixture. Spoon the batter into a six-hole muffin pan, lined with silicone liners or paper ones. 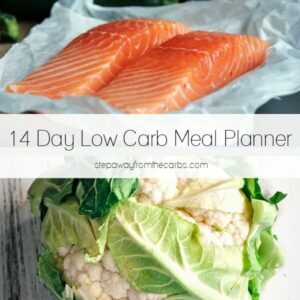 Bake in a preheated oven for 15-18 minutes until cooked through. Or how about replacing the lemon with limes, instead?!? 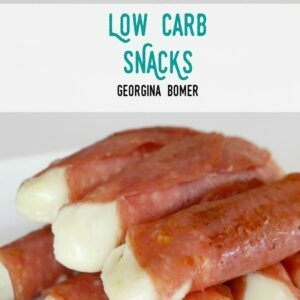 I hope you enjoy this tasty low carb snack! Add the egg yolks, cream, sweetener, lemon zest and baking powder to a bowl and mix together. Stir in the almond flour and lemon juice. In a stand mixer, whisk the egg whites until soft peaks form. Add a spoonful of the whites to the almond mixture and stir well. Then add the rest of the whites and carefully fold in. Divide the mixture into 6-hole lined muffin pan. 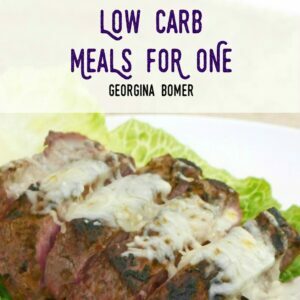 Adapted from the Idiot Proof Diet Cookbook. I haven’t tried it and I don’t work with coconut cream very much – so I’m afraid I have no idea. If you try it, let me know how they turn out! This was one of the worst recipes and I followed the instructions, but used some all purpose gf flour and coconut flour along w the almond flour. The muffins turned out like a bag of bricks and we’re heavy and dense. No good! What a waste of time to fold in egg whites!! I’m sorry that you didn’t like it but you also have to understand that if you change the ingredients from the original recipe then the outcome is likely to change! 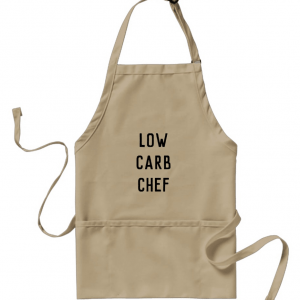 In particular, coconut flour and almond flour are not interchangeable because coconut flour is much more absorbent – and I have no idea if GF flour is even low carb? How rude to act so entitled as though the owner of this blog wasted your time and ingredients, when you in fact where the one to blame for the outcome! You are obviously so ignorant of the ingredients that you have used that you didn’t even know it was your own fault! How about actually being nice, asking questions, and exchanging tips and tricks so that you learn from your own mistakes and it helps you with future recipes…..
Do you think I could add blueberries to the lemon muffins? Don’t want to change it because it need me to taste yummy! My guy likes the taste of both. Thank you! Taste-wise I think it would be fine, and the blueberries wouldn’t add too many carbs. I guess they would just look a little crazier when the berries pop open while baking! Let me know how they turn out! Mine turned out very tart. I think 1/4 cup of Swerve will work better. Also, I followed the directions exactly, but found them to be really dense. Do you think baking soda would make the a bit lighter? I don’t know if I did it wrong or what but I followed the recipe to a t and I make muffins all the time. The muffins came out in crums. And I’m just wondering what holds the muffin together because there’s no butter or coconut oil, there is cream but not nearly enough to keep the muffin together. Anyway mine did not turn out, I’m eating it with a spoon, the flavor is okay but it is not a muffin. I’m sorry to hear that they didn’t work out for you! I’ll add this recipe to my list to revisit to make sure everything is OK with how the recipe is written.